"Bomb Culture is an abscess that lances itself. An extreme book, unreasonable but not irrational. Abrasive, contemptuous, attitudinizing, ignorant and yet brilliant." 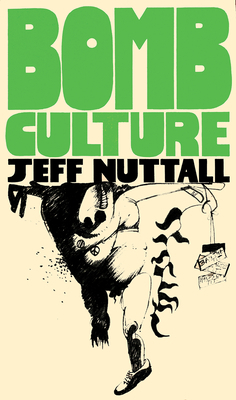 Out of print for fifty years, Jeff Nuttall's Bomb Culture has achieved legendary status as a powerful, informative, and spirited exploration of 1960s alternative society and counterculture. Nuttall's confessional account of the period investigates the sources of its radical art, music, and protest movements as well as the beliefs, anxieties, and conceits of its key agitators, including his own. Accompanying the original text is a new foreword by author Iain Sinclair, who was closely acquainted with Jeff Nuttall and participated in the turbulent underground culture described in Bomb Culture. This anniversary edition is rounded out with an afterword by writer Maria Fusco and a contextual introduction by the book's editors which includes photographs and images of Nuttall's distinctive artwork as well as further archival materials.